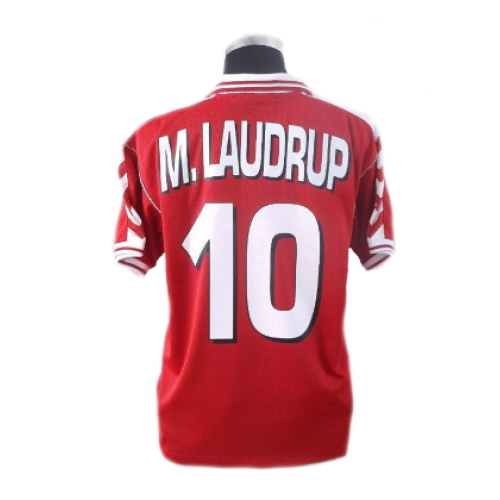 This Michael Laudrup Shirt #10 Denmark (Home) 1998-1999 is an original classic football shirt. 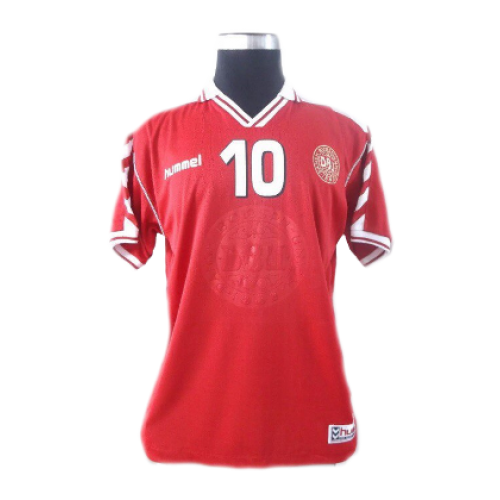 Michael Laudrup last games for Denmark came at the 1998 World Cup, when he captained the nation to the quarter-final. 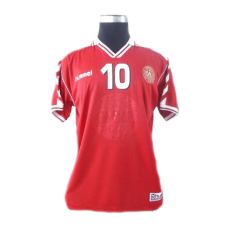 Laudrup made his 100th appearance for Denmark in the team's opening game of the tournament; a 1–0 defeat of Saudi Arabia in Lens. Denmark was defeated 2–3 by Brazil in the quarter-finals, and both Michael and Brian Laudrup announced their international retirement following the World Cup elimination. Both brothers ended their international careers on a high note as both Michael and Brian were named in FIFA's All-Star Team.